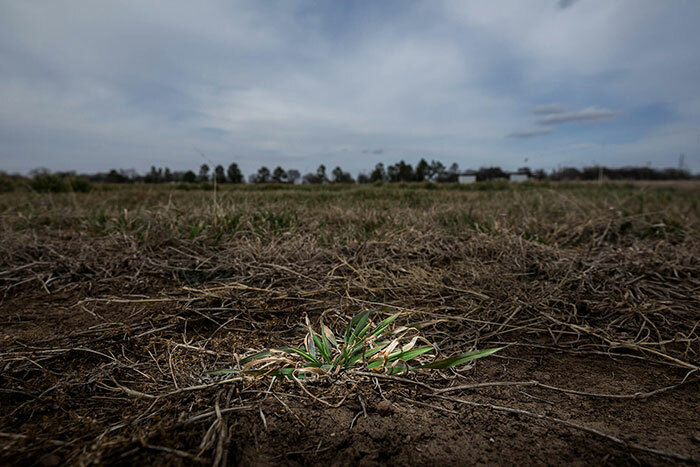 Major portions of the Southern Plains and stretching into Kansas and Arizona find themselves embroiled in extreme to severe drought conditions, according to the U.S. Drought Monitor. Aljoe made his comments in a recent news release from the Noble Research Institute. Agricultural consultants at Noble are encouraging livestock producers to assess their water and forage resources. If available water and forage inventories don’t match or exceed animal requirements, destocking of cattle herds may be needed. “It is important that farmers and ranchers gather their information and take steps as soon as possible,” Aljoe says. If the drought persists and worsens, Aljoe encourages farmers and ranchers to take decisive action. Such actions include buying any needed hay while it is still available at a reasonable price. Culling cows may also be an option that deserves consideration. The veteran consultant points out that cattle prices decline and supplemental feed costs generally move higher as a drought persists. “Keeping accurate records and knowing production costs is important in making timely and effective management decisions,” Aljoe states. The Noble Research Institute has recently developed a special website to serve as a central source for up-to-date mitigation information and resources to assist livestock producers through the drought conditions. Timely management tips will also be provided on the organization’s social media channels.